This is probably my last autumn post of the year, as it seems winter is upon us here in our area. 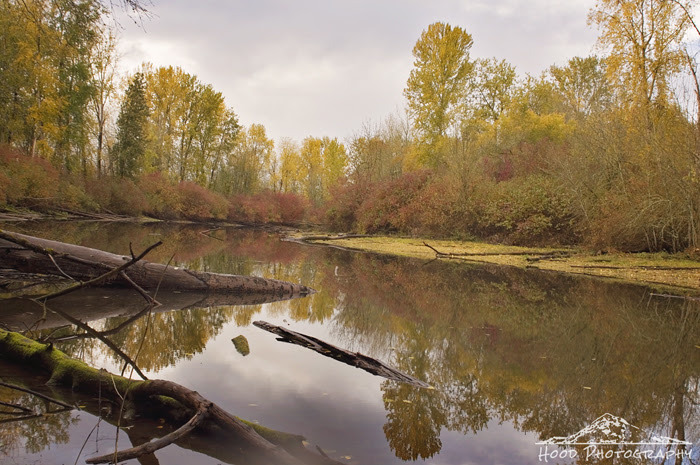 I visited Smith and Bybee Wetlands on a very rainy, stormy day. However, towards the end of our wet adventure, the rain stopped and gave me a great chance to take in the perfect calm along the creek that runs along the edge of the park. Beautiful photo - love the light here.